Pro Softener Mate softener cleaner is a unique blend of chemicals formulated to remove limited iron, manganese, silt, metal particles and organic compounds that cause softener inefficiencies. Regular use of Softener Mate softener cleaner as a maintenance program will restore the softener back to peak efficiency and maintain the life of the unit. 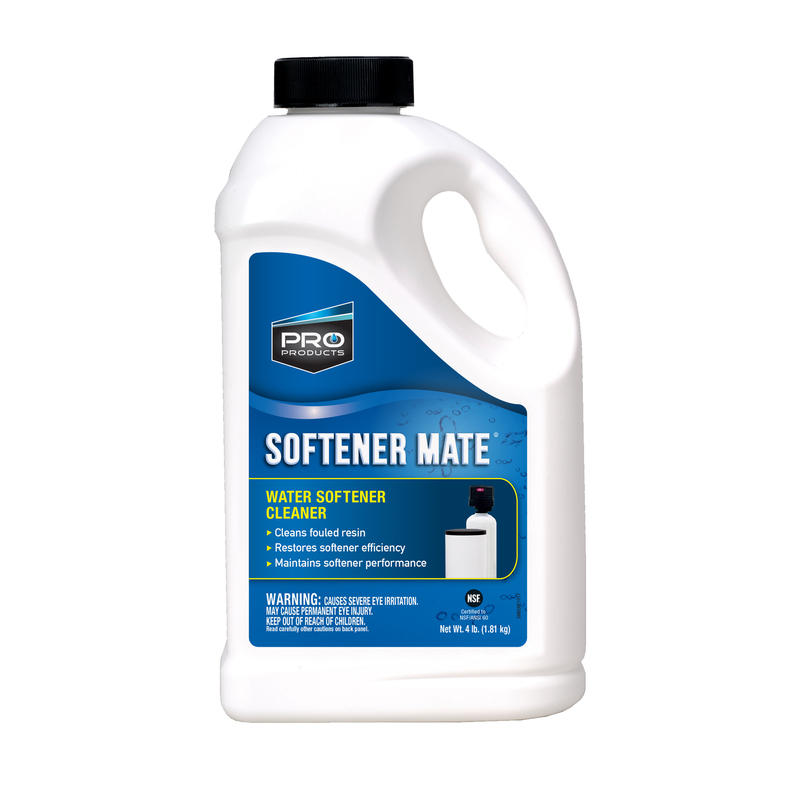 Softener Mate is the perfect product to clean softeners being used on municipal water. Available in 4 oz, 1 lb, 1.5 lb & 4 lb sizes. 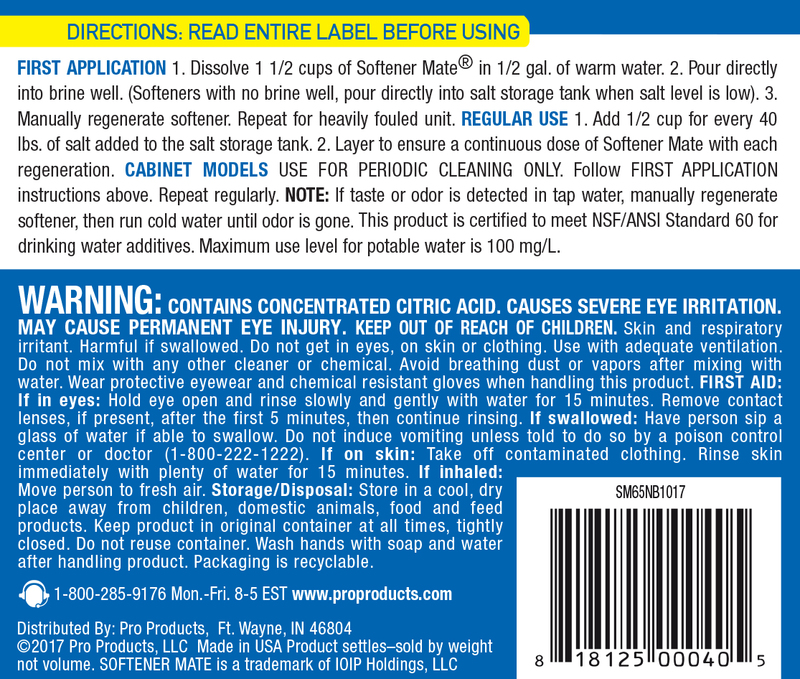 Softener Mate is a very good product. I used it for the first time and it cleared our water right after first use and it made my wife very happy. Thank you .